After several years with a Longbow Club with the British Longbow Society and the Grand National Archery Society, I was nominated and accepted the position of secretary which I held for eight years. 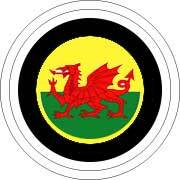 I then accepted the position of Clerk to Cwmni Cymraeg-Y-Bwa, the Welsh section of the British Long-Bow Society. This position involved organising Target, Clout and Standard Arrow (medieval style shafts) Flight tournaments. I then decided to progress into the coaching side of archery and in 1996 I took the first step and qualified as a leader, where I was involved in teaching beginners the basics of archery. After 5 years, having gained valuable experience I qualified as a coach in 2001,which resulted in an invitation to work with the coaching panel, this presented the opportunity to develop my skills to a level where I undertook county coach training, and in 2003 I gained my county coach certificate. After further training in 2004 I passed my assessments to be accredited as a lead tutor and assessor for leader courses, where I have been involved in training and assessing leader candidates. I also qualified as a level 1 lead tutor and assessor, working on several level 1 courses throughout Wales. 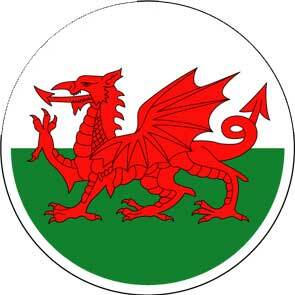 In 2008 I qualified as level 2 lead Tutor and Assessor, working on the first level 2 course to be accredited in Wales. On the introduction of the new level 1 scheme, I was accepted for training as a Lead Tutor and Assessor and in 2011 passed my assessments in both roles to become a “Coach Educator”.Besides the coaching panel training courses, I have participated in archer improver courses with several clubs, also working as a guest coach with the Gwent Junior squad. I also frequently work with a disability in sport organisation, introducing people of various disabilities to the sport of archery. Besides all the coaching projects I was involved in, I applied and was accepted as a Candidate judge in 2001, passing my assessment for County Judge status in 2002. After an additional 3 years to gain the required tournament experience in 2005 I passed my assessment to achieve Regional Judge Status, then in 2010 having taken and succeeded in passing the practical and written examinations, I was awarded the National Judge qualification.